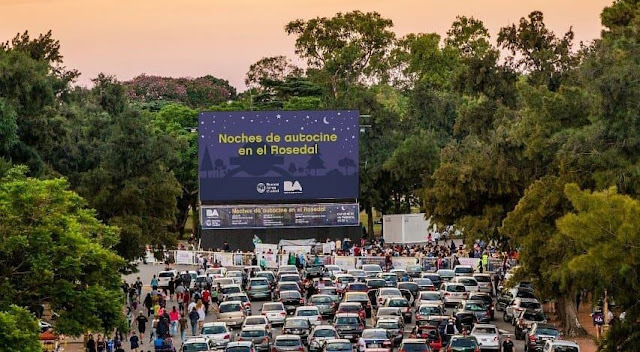 As every year, a drive-in movie theater will be set up at the Rosedal (Rose Garden), on Av Libertador & Sarmiento. On February 7, 8, 9 and 10, from 7.00 pm, the gates will open for the cars to take their places until reaching the full capacity of 300 vehicles. The sound of the movies will be broadcast in stereo on the 107.3 Frequency. There will also be a sector for spectators without a car, with chairs and hassocks, or visitors can bring their own chairs and blankets. Food and drinks will be available at the Food Court.